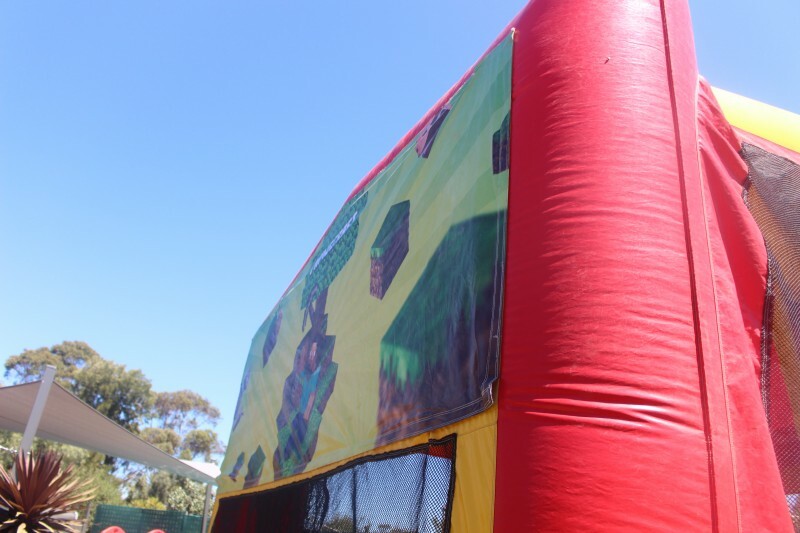 Who doesn't love a bit of Minecraft! 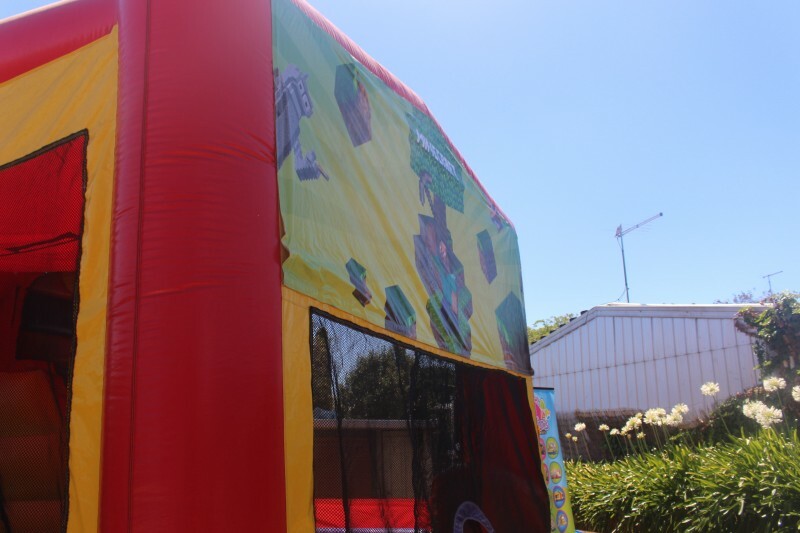 Perfect for all your Minecraft nerds out there! Suitable for adults and kids. Holds 10 to 12 kids under 12 or 8 adults. 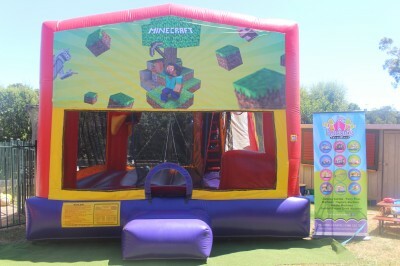 Comes with a huge jump area, slide and basketball ring!